“Debjani will you be able to cook for Taj Bengal‘s Hilsa festival and if we found the item worth enough we can have that as part of our menu for the said Festival!” This is how the Ilish Shukto happened and traveled from Debjanir Rannaghar to Taj Bengal’s kitchen! 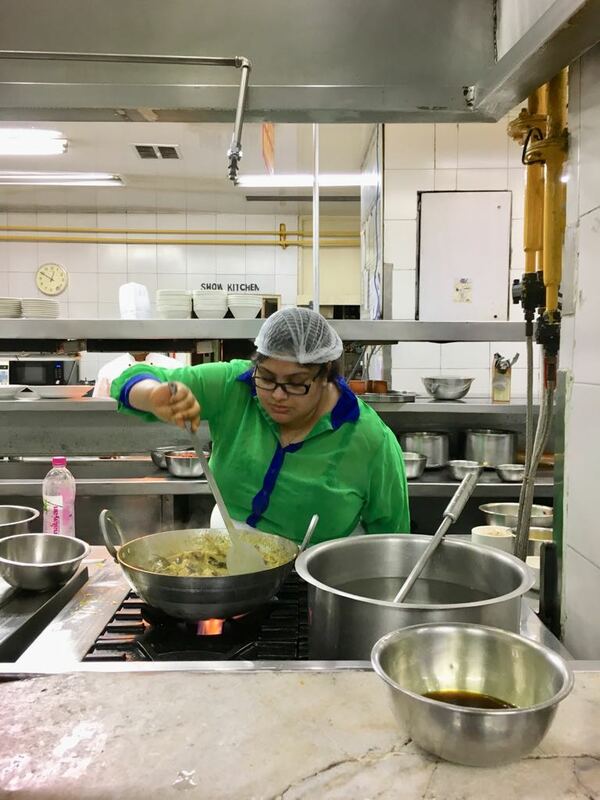 Ilish Shukto; The journey from Debjanir Rannaghar to Taj Bengal’s Kitchen! I was horrified, period. After all, I have no experience with the professional kitchen. Cooking is therapeutic to me, and that is all. 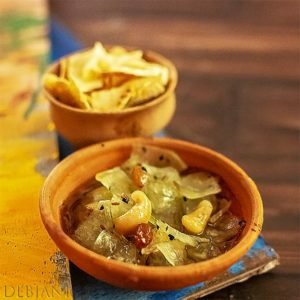 My blog Debjanir Rannaghar is about simple recipes, mostly Bengali with no appendage(s) of sophisticated know-how or fancy description! Neither I possess a degree in food nor I claim to be the flag-bearer of authenticity. I believe in simple cooking and also a simplistic way of describing food. My knowledge of Bengali cooking is limited to the books by Prajnasundari Devi, Lila Mazumdar, Sulekha Sarkar, Purnima Thakur etc. and obviously whatever I learned from the family and by asking people. I cooked there along with three blogger friends of mine. Apart from my Ilish Shukto Anindya and Madhushree (Pikturenama) cooked Doi Ilish. Indrajit Lahiri, the Mohamushkil man cooked Ilish Bhorta. Needless to say, we all were excited as well as worried and who can blame us. For me and I am sure for them it was an amazing experience. The cooking part, in fact, was easy than the tasting session! However, as they say, All’s well that ends well! Nobody died after eating the food we cooked 😉 . Ilish Shukto is a Bengali style Hilsa Fish and veggie curry flavored with Randhuni and five spices. A common Hihlsa-based delicacy typically popular amongst the Bangal community and in several Ghoti households as well. I decided to go with a humble bowl of Ilish Shukto for Taj Bengal. I choose the dish for two reasons. First and foremost, my dad believes without Shukto however, how humble the background is, the journey of a Bengali cook is incomplete. Secondly, I was planning to write this recipe which is a regular at home for long and I was looking for a special occasion. 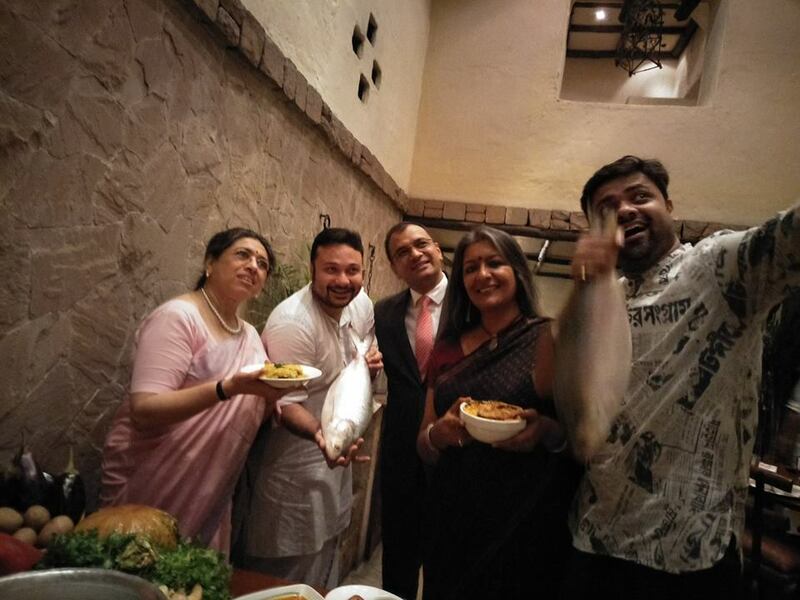 Here I must mention, I was in the dilemma whether to opt or Ilish Shukto or not! After all, I have been trolled before for using Turmeric Powder in Shukto! Believe me, I was thinking to cook something less-controversial to just to ignore the pests of the society. However, re-thinking about the dilemma helped me to stick to the decision of cooking Shukto with Ilish Mach. The Ilish Shukto Recipe! My confusion and overcoming the same! Another Journey! This book talks about “Shuktani” in detail where she did mention, Turmeric Powder is a must! In her book Prajnasundari mentioned, Shuktoni aka Shukto is incomplete without Bitter. However, the book is not having the recipe of Ilish Shukto! Not as old as Prajnasundari’s book or as famous as Lila Majumdar’s, however, this book is having the recipe of Ilish Shukto. Prepared with no bitter element and also having Pointed gourd aka Potol. I tried this recipe a few times but surprisingly not happy with the flatness. The Shukto I have grown up eating with prepared with Turmeric Powder. It is said turmeric helps in preventing Allergy and I am allergic to Eggplant and as they say, prevention is better than cure! 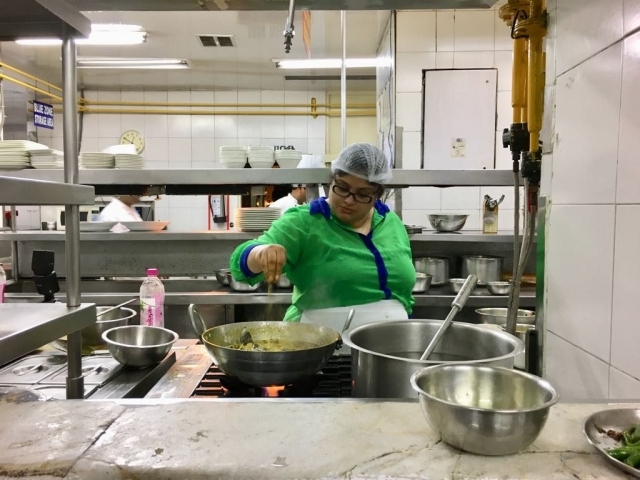 Fortunately or unfortunately, my North Calcutta residence is more than 175 years old and needless to say the recipes came from there is the result of evolution. A true, blue “ghoti” I am but we have welcomed several “Bangal” as daughter or son-in-law(s) in the family. Needless to say, their cooking style influenced my family cooking style a lot and that probably is the reason I know about Ilish Shukto. Bengal from Sylhet, the family came to India during partition and ended on living in a cozy house in the Northern part of the city of joy. A girl from that house was my private-tutor for around 3 years. I had the Ilish Shukto cooked be her mother which had both bitter and Fish head and Tail. They probably not having the lineage (I am sorry Didimoni even mentioning the “lineage word” here but I must 🙂 ) to be mentioned along with the big names I mentioned above but they need to be mentioned. What can you expect from a lower-middle-class family fighting the battle of day to day life? Yes, utilizing every possible and edible part of a fish while cooking, This was normal to them and this is natural to me. Hence, my Ilish Shukto is having the Macher Matha and Lyaja. Shukto prepared with Hilsa Fish: Yes! Fish Head and Tail: I used both to stick to the middle-class mentality of not to ignore the humble parts. Bitter as part of the Shukto: Yes! To balance the flavors, and to make the dish rich. 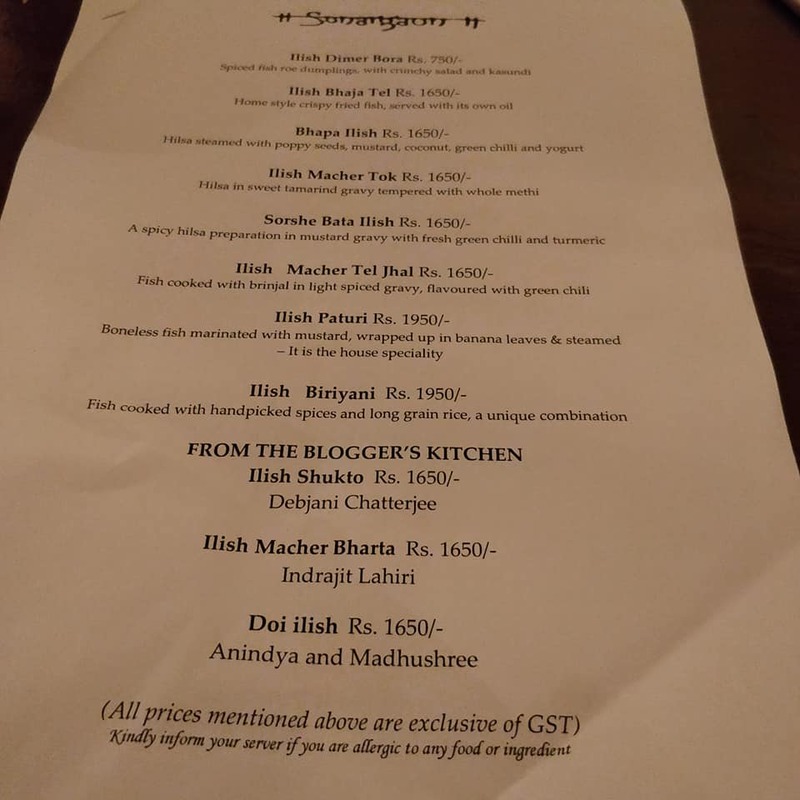 (In fact, this was discussed during the tasting session at Taj, specifically, where people opined how the bitter gourd flavored the dish in a good way). Turmeric Powder in my Shukto: Yes. While shallow frying (Read “Santlano”) the fish and eggplant. The authenticity of the Recipe! I am not claiming to be coming up with the authentic recipe. I believe in evolution and food is no exception. In addition cooking at home and cooking in the professional kitchen are two different things. Here is my recipe of Ilish Shukto! 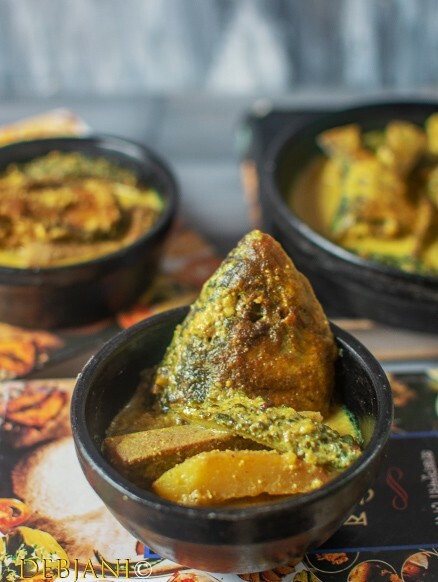 Ilish Shukto is a Bengali style Hilsa Fish and veggie curry flavored with Randhuni and five spices. Panch phoron (whole): 1 Tsp. Panch phoron (powder): 1 Tsp. Randhuni/ Celery Seed: 1 Tsp. Poppy seed paste: 1 Tbsp. 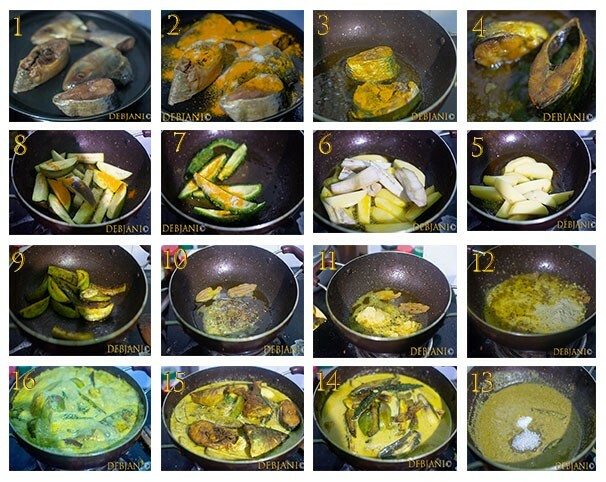 Marinate Hilsa chunks (head, tail, and pieces) with salt and half of the turmeric powder and then to leave for 10 mins. Cut the veggies into long strips after peeling the skin (potato, plantain, sweet potato, drumstick). Cut the bitter gourd and eggplant with the skin on. These two need to be marinated with salt and turmeric powder. Heat mustard oil in a deep bottom pan. Shallow fry fish chunks from both the side. 30 seconds from both sides is enough. Fry Head and tail for extra time till those are properly fried. Now shallow fry the veggies one by one. Potato, sweet potato, and Plantain require extra frying time. Temper remaining oil with 2 bay leaf, whole 5 spices aka Panch Foron and Radhuni. Now add ginger paste followed by mustard paste and poppy seed paste. Cook for a minute or two by adding 1 Tbsp. of Water. Add Salt and Sugar and give a thorough mix. Now to add 1 tsp of powdered 5 spices, and cook for a minute or two. Add milk and 3 Cups of water and bring it to boil upon adding salt and sugar. Finally to add fried Potato, Sweet Potato, and Plantain and cook until those soften. Add Drumstick, Fried Eggplant and Fried Bitter gourd followed by the fried fish chunks. Cook on low flame for 5-7 minutes by covering the pan with a lid. If required add some more water. Once done add Ghee and switch the flame off after mixing it. You may cook Ilish Shukto without using the Head and tail, however, these two enhance the flavor. Bitter Gourd balances the flavor obviously is optional. Turmeric powder, needless to say, is optional. Ghee and milk are optional as well if you are planning to cook a low calorie and flat version of the dish. 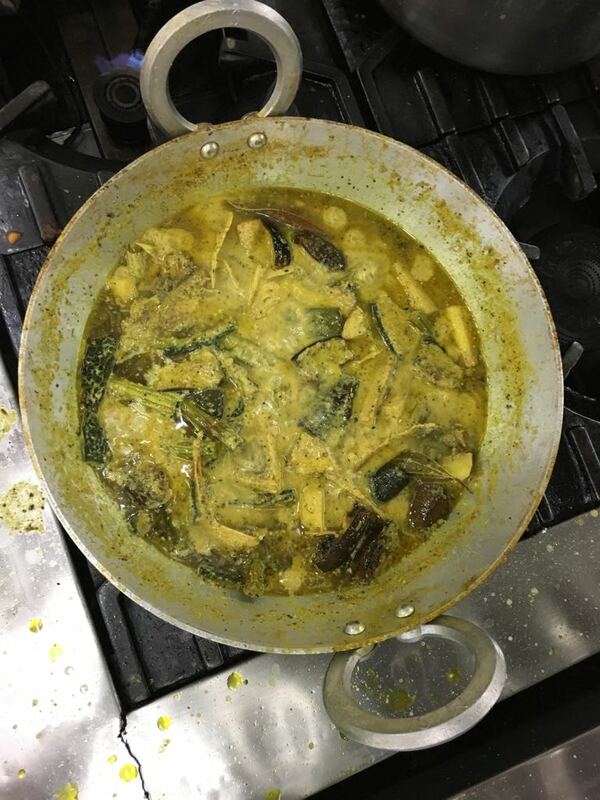 By the way, like every year, we have some brilliantly cooked Hilsa dishes from the Kitchen of Chef Giri. 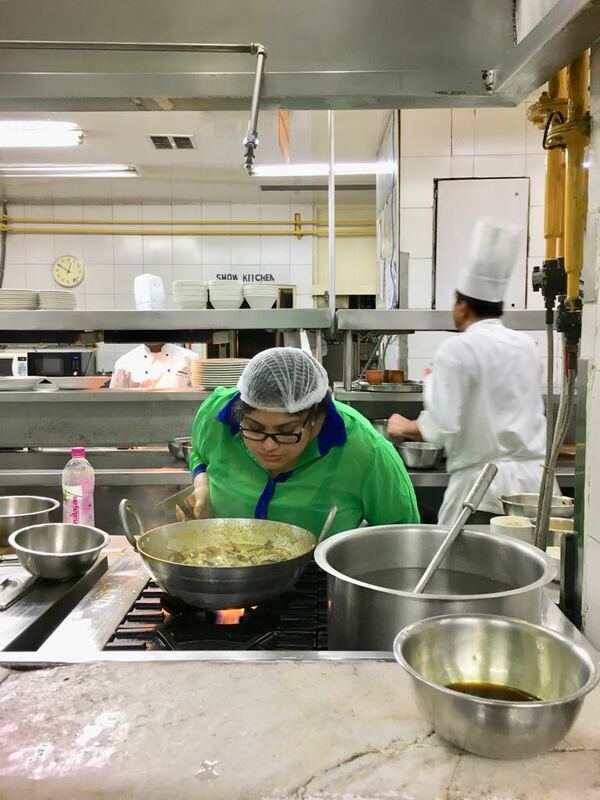 Their specially curated dishes, as well as the dishes we cooked, will be available there at Sonargaon from July to September 2018. Visit as a foodie if you want to savor some “quality Ilish.” Visit as a friend if you want to taste the Ilish Shukto now they are serving following my recipe and visit as a foe to criticize me 😉 . 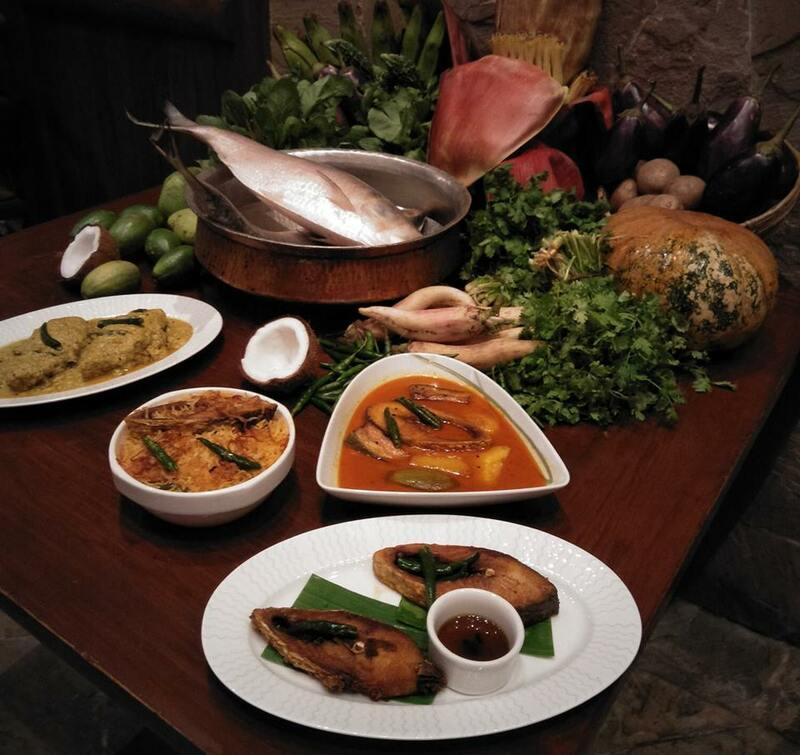 Disclaimer: This post is written based on my recipe of Ilish Shukto and also the cooking the same from the kitchen of Taj Bengal as part of their Hilsa Festival.